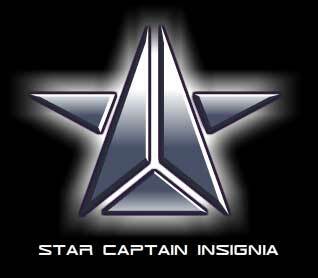 I would like to see more insider info type tihngs. Such as the MEchQuest artbook, that was a huge success in my opinion, so how about one for DF or AQ? I would love to see how they drew SMUDD or maybe the original ideas behind DragonFable, as well as some items that almost but didn't quite make it into the game. Maybe something bladeHaven related, because that game was awesome but seems forgotten now, and I think some more attention should be brought to it. A suggestion for the Ebilcorp Coffee Mug coming in Marsh of this year. 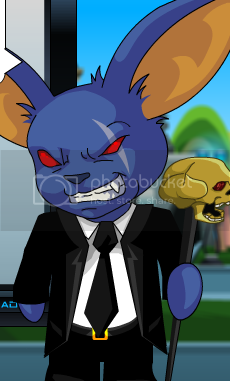 How about you add Mr. Z from MQ as a pet onto the bonus in-game item for AQW? And click on the pet opens up the potion shop? Maybe have a little animation. That when you click on him. He pulls a small bag of potions from.. Well no where really. XD unless you want to add a black hole or something. I wonder if AE could sell candy? Something with caffeine and sugar, and lots of it. Maybe called "Essense of Warmonger"
Also, ElBhe's perfume he mentioned at one point would be awesome, though I would personally never use it. soft drinks in a glass of 14.5cm and choose your side where they fought and showed their loyalty? 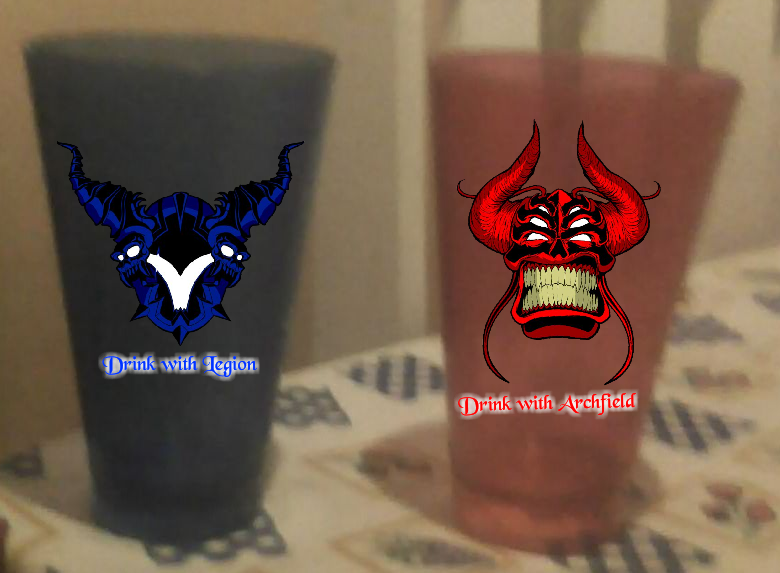 then he could toast all the achievements of the Legion undead or feel the taste of victory with Archfields Archfiend? It's time to show all your allegiance to @Nulgath Archfiend, become an executive staff archfiend !!! Can you somehow add Heromart accounts and link them to your Master account and use artix points to buy HeroMart Stuff. Either way you get the money and it allows people who don't use Credit Cards/Pay Pal to partake in the fun with the heromart items. Maybe a sequel to the Dragon Secret? Or a completely new book? @Guardmouse I completely endorse your idea. I have redeemed some of the cash i got on my birthday into artix points and i was about to spend around 60 bucks on heromart items but sadly i don't think there is a way to order item with artix points. wish they do it the way Anthony suggested above. it would be really helpful for people like us who does not have a credit card. I think the newer brilliant soundtracks in the games need to be released in an album. And now that CD's are old fashioned, why not have it on iTunes? Sell ​​the product code, you instantly get the code you have paid, ie it is not necessary to wait for the product. Sorry product codes are not and will never be sold separately! This has been said many times by AE staff. Also I don't believe they will ever sell items by Artix Points as you can earn them. But that can be purchased separately with the use of a credit card, similar to the way buy $ 10 codes. No codes are being purchased without the item. This is official and with never change. Printable Gift Certificate with Code to Reedem for Artix Points"
Well, for one thing, Artix Points can be earned for free. That may be part of it. Sorry for my bad english, but, I'm trying to say is that, is should be able to pay with credit card for the codes of the items of Heromart. Some are not of U.S, and wait for the product is too long, And we have credit card. HeroMart is aimed to sell physical items. Some of these items arrive with in-game items as an added value. There are all sorts of offers to buy in-game only items directly from your Master Account using Artix Points. These items are deliberately different than those offered in HeroMart to make each offer unique with its own value. Your suggestion was noted, no need to continue arguing about it. 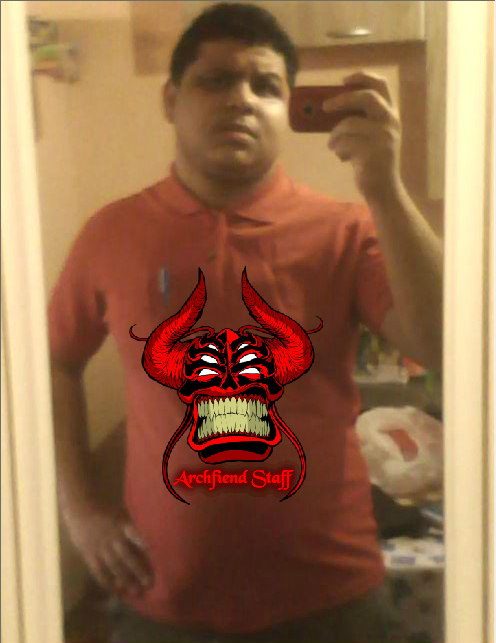 Suggestion for Grimskull logo shirt being done by Artix. Why not add Mort as a pet for the shirt? Or even a part of the Grimskull dungeon as a house? What better then ur own house being a real death trap? I don't know how costy this would be to make, but I'm gonna suggest an Altar of Caladbolg iPod/iPhone dock. The iPod/iPhone would go where Caladbolg would be, and the speakers would be built in on the side pillars. Or you could minus the speakers on the side if that would be too difficult.